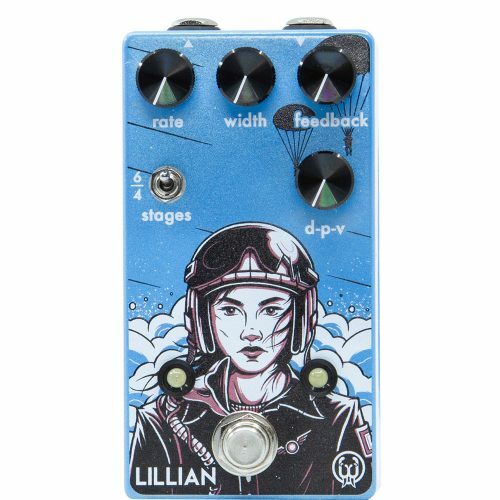 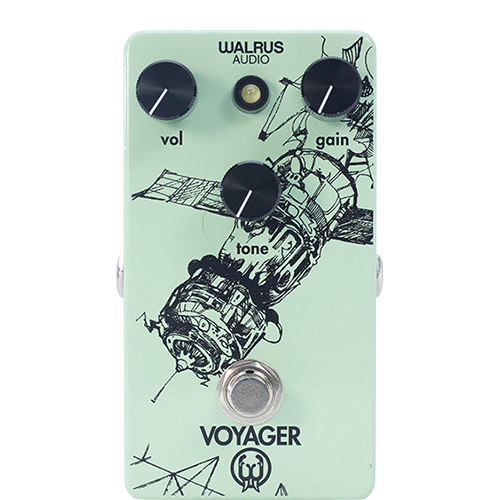 The Lillian is a true bypass, all analog, multi-stage phaser drawing inspiration from her cousin Julia. 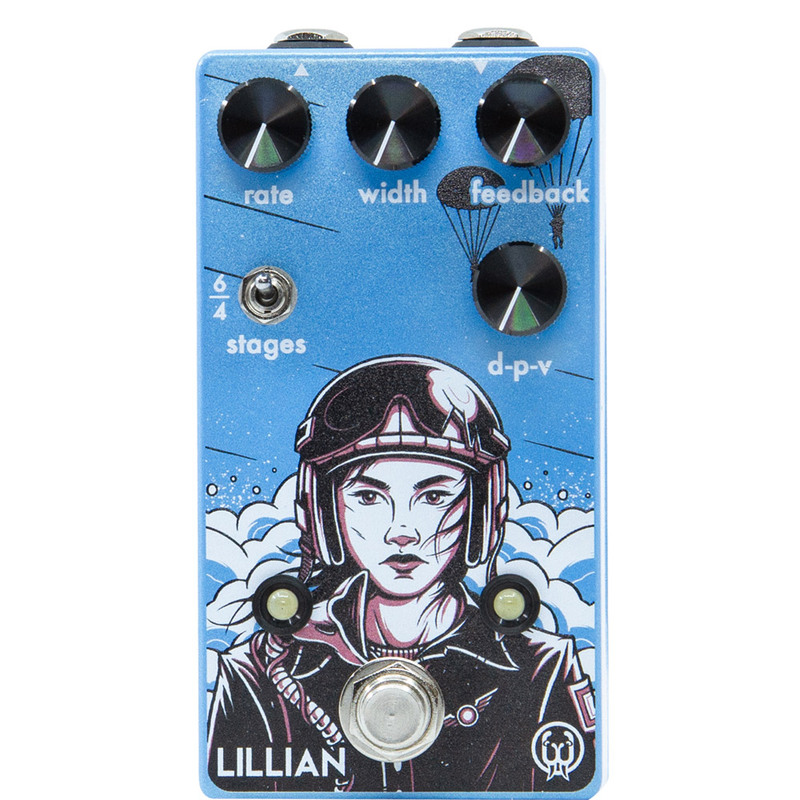 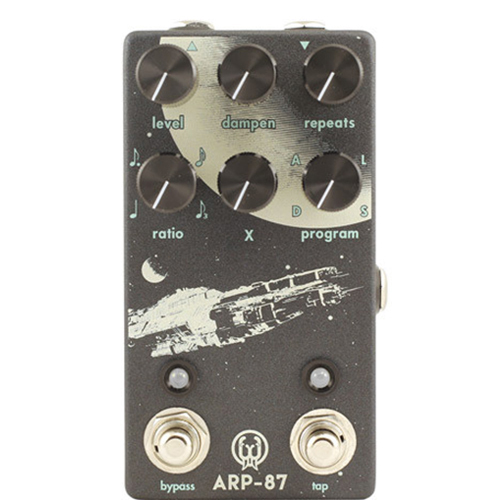 With controls like Rate, Width, Feedback, and D-P-V blend, the Lillian is packed with a wide array of analog phaser goodness waiting to be dialed in. 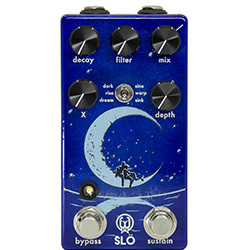 The “Stages” switch allows the user to select 4 or 6 stages which alters the overall voice of the effect from warm and tight phasing with 4 stages to a more complex filtered sound with 6. 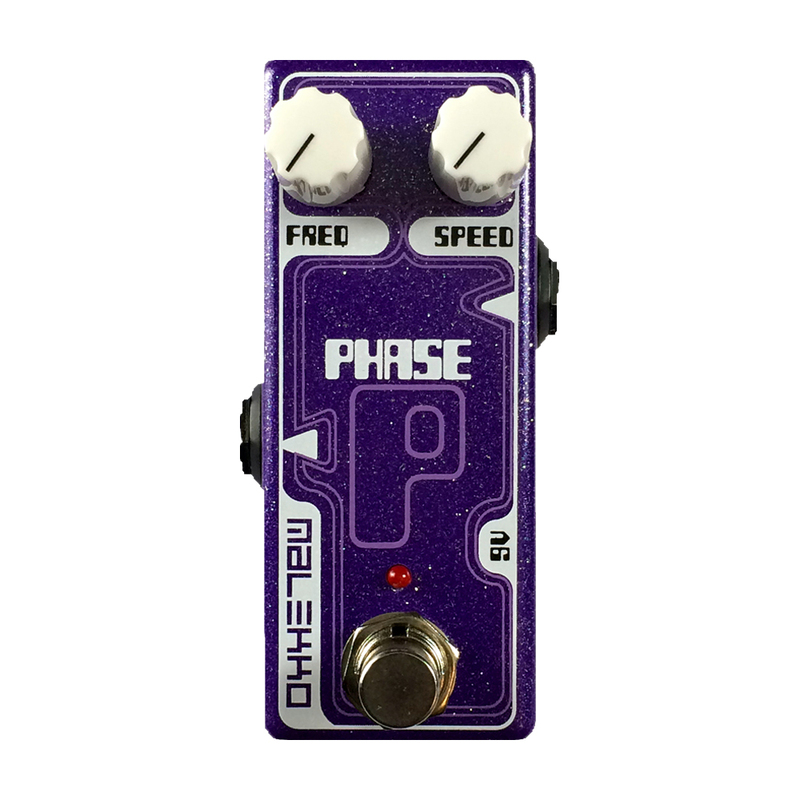 The D-P-V knob lets you blend between dry, phase shifted, and vibrato sounds allowing for a wide range of control over the intensity and type of effect.